Who knew furniture could be so interesting? About my research. Hello readers! 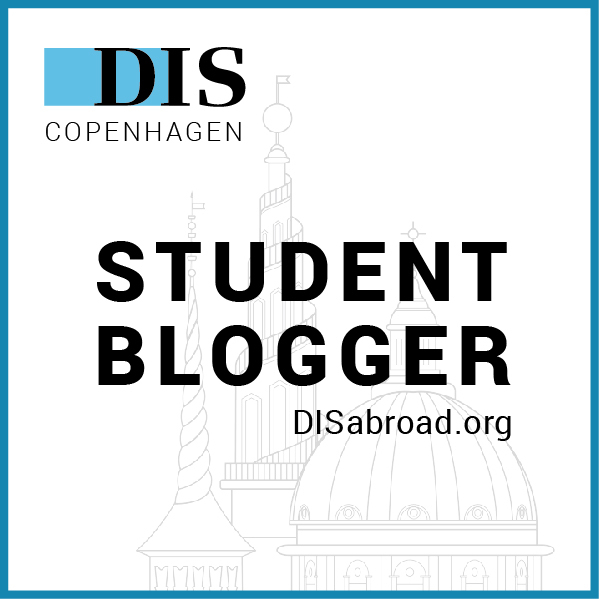 This week, I’m excited to write and share about my research work in Copenhagen. DIS is unique in that it offers students the opportunity to participate in faculty-led research projects while studying abroad. Though students rotate through the program on a semesterly basis, the projects are ongoing and work towards the publication of scholarly articles and books. Several months before my departure, a DIS staff member invited me to apply to work on the research project “Danish Design in Post-WWII America.” The combination of my major (American Studies) and my DIS Core Course (Graphic Design) made me an ideal candidate. So I applied, interviewed, and was selected to serve as a Research Assistant for the semester. My research mentor, Thomas Dickson, is an architect, designer, and journalist who works out of his own firm, Dickson Design. He has published several books on Danish design and architecture, and teaches courses at DIS on the same topics. A little background: After World War II, soldiers returned home ready to settle down, marry, and begin families. Consequently, the United States saw a dramatic increase in the amount of new house construction. The heightened demand for homes was accompanied by a greater need for furniture and home goods, and somewhere along the line, Danish products entered the market in a big way. The project seeks to explore how and why Danish design – examined primarily through imported furniture, lighting, and home decor accessories – became popular during the post-war period in the United States. Driving questions include: Why did the Danish modern style appeal to American consumers? Who was importing the products from Denmark and/or Scandinavia? How did the media contribute to the promotion of Danish goods? What does humanities research look like? To address these questions, my first task has been to conduct a little detective work. The media plays a large role in drawing attention to any product, issue, or person, so I’ve been searching through newspaper archives to see where and when Danish design first emerges. This involves the use of online databases and the creative manipulation of search terms. I read a lot of articles that look like this! I’ve read dozens of articles from the 1940s, 50s, and 60s about everything from war-worker housing to the intense aesthetic draw of Danish oiled teak. It has been interesting to see what the media chooses to emphasize about Danish design, and how their message was shaped by the consumerism of the time period. How does this count as a class? The research team is small – really just me and my professor – so almost all of the work is independent and self-directed. DIS requires that I spend about ten hours per week working on the project, so I do a few hours here, a few hours there, and a solid chunk over the weekend. I meet with my professor at the end of the week to discuss my findings. At the end of the semester, I will present some of the initial conclusions to fellow students and faculty at the DIS Research Fair. This particular project is still in the early stages, so I will most likely focus on the progress that was made during my time as a Research Assistant and what that means for the next phases of the project. Additionally, I will write a research paper of my own about some element of the topic that interests me most. I’m not sure what this will be yet, but I plan to connect it to my work as an American Studies major at home. So, is furniture really that interesting? Absolutely. Furniture says a lot about how we live our lives, what we value, and how we express ourselves. A straight-backed chair suggests rigidity, while a reclined lounge chair connotes relaxation, family time, and comfort. As values shift over time, the furniture changes too. The most interesting part of the research is seeing how the lifestyle of the 40s, 50s, and 60s is reflected in the way that people furnished their homes. If you have any questions about my research project or research initiatives at DIS, please comment below! And look out next week for a (more interesting) post about Core Course Week and Study Tour! “A Day in the Life,” and some exciting news!